Please help . 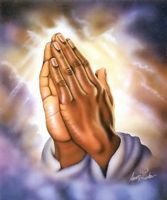 Pray.i have been praying and praying and praying.i have applied for jobs and havent heard any thing. I know I have made mistakes but have learned from them. I am short on rent and I have 3 kids one of them being one year old. Please find a way to help me get enough for rent. I never ask any one usually or it takes alot but I am in desperate need. I can't get assistance I don't smoke don't drink. I can't be late again. Once I start work and get my first cheque will help. Please virgin Mary can you find a way to help me. I know I am not to do this but if any one wants to know more or can help out my email address is hueserlj@sasktel.net. I trust people will keep it private. I am sick to my stomach day after day. Please pray and please help me find a way. I am at my wits end.